All Car Makes and models covered! 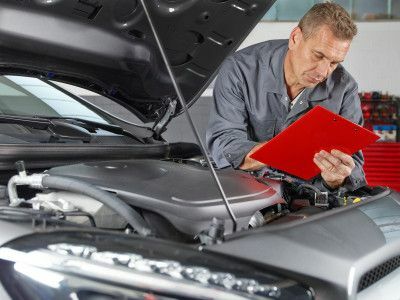 Our fully licensed and VOSA approved MOT testing station for Class 4, Class 5 (Full) and Class 7 vehicles utilises the latest technical, diagnostic and mechanical equipment. This gives us the ability to provide guaranteed tests for all makes and models of petrol and diesel cars and LCV's. This also includes the equipment to comply with the 2009 diesel emissions regulation. We take pride in our fully trained technicians who are able to carry out MOT and servicing, all our work is guaranteed and we are delighted partners in the Unipart Car Care guarantee which assures that none of the parts that are fitted in the customer’s car are incorrect or faulty. Still Looking For a Reliable MOT Centre? Our state of the art depot is based at 85 St. James Mill Road, St. James Business Park, Northampton, NN5 5JP. We charge from as little as £40 for a car MOT in Northampton, naturally prices alter according to the class and model but we will confirm this before work commences or when we confirm an online booking request. Call the branch today or complete our online booking request, we have 1 Bay live 6 days per week set aside purely for MOT work. While your work is being carried out you can relax in the comfort of our waiting area where you can take advantage of the free Wi-Fi, we even free tea and coffee for customers. There is easy access for any of our customers who need wheelchair access and the waiting area is child friendly. Today 01/12/2018 I was booked into Calmac Tyres in Northampton for my car’s servicing. I have a Mazda car and I was visiting them for the first time. I was highly impressed with the professionalism and mechanisms they possess, even while one of the customers was undergoing an MOT test I was curious to see the expertise. Therefore I planned to book them for my wife’s cars MOT test with them. I am highly impressed with their services and accuracy. Would definitely recommend my friends and family. I recently had my car MOT here at Calmac and bought 2 new tyres. I was really satisfied with either visits and both were dealt with at the time booked in. Very professional service and state of the art equipment - one of the better garages in Northampton!